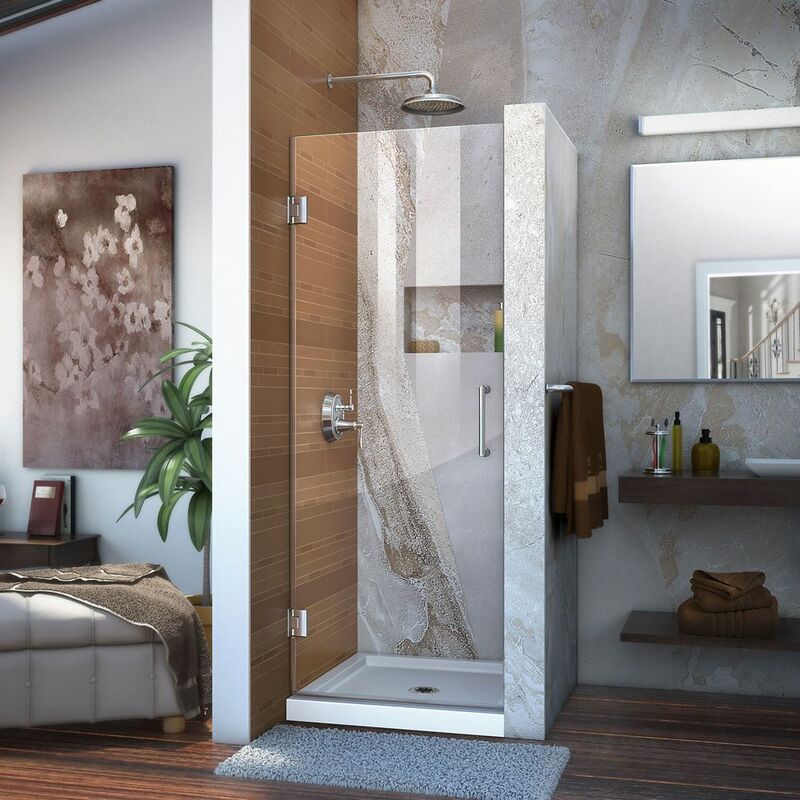 The DreamLine Prism neo-angle shower enclosure features a corner design and a modern shape that is the perfect complement to any bathroom. The Prism maximizes space and creates an open appearance with an outstanding style. Reversible for a right or left door opening. Complete your renovation with DreamLine for the ultimate solution for your shower project! Unidoor 25-inch x 72-inch Frameless Hinged Pivot Shower Door in Chrome with Handle is rated 5.0 out of 5 by 37.